If you have a problem with any of the above in your gaming then this game is not for you. 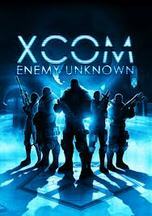 This game is actually hard, you (or rather people who fight for XCOM) will die. Unlike Darksouls which says “you will die”, this game really deserves the title of “people will die” and Darksouls should be changed to “you will spin around in circles try to stab the enemy and then fall off a cliff to your own death four times in a row before returning this game”. This game on normal will have people upset at how difficult it is, let alone the absolutely stupid difficulties and ironman settings that are in place if you want even more pain and suffering. This is also not a game like Darksouls or Fire Emblem Awakening where you go “oh right, difficult, I will just grind for 10-20 hours for levels and then the difficulty will even out”- nope. This is not a grinding game, ever hour spent in this game is a mission and ever mission counts. You will have to think, you will have to enjoy tactical gameplay (real tactical gameplay with multiple moving parts) and you will have to enjoy difficulty to some degree as even easy if you just run forward guns blazing you will die. One of the best, if not the best attempt at a tactical thinking man’s game in recent memory, and definitely in the top ten lists of people for all-time greatest. Height, level terrain, cover, environment that matters and that you have to pay attention to (ie. exploding cars), multiple classes, and the list goes on but stops due to spoilers. You will enjoy this game hands down if you enjoy the genre. There are those that don’t know where to stand on this game because they played the old XCOM games, but comparing them to this game is like comparing Fallout 3 to the other Fallouts, same concepts and world but totally different direction as one was more FPS and the others were not FPS in the slightest. If you go into this game expecting XCOM 2.0 (from oh, I don’t even know, 15+ years ago now?) then you might be confused. If you go into this just expecting a tactical thinking man’s game with challenging and engaging combat then you will walk away exultant. Amazing cost value here as even when it first came out I was seeing copies for $40, the expansion (which I am reviewing in this as a combined review) acts as the complete game improved, meaning you don’t need a copy of the original game as the huge expansion comes with the base game included. The expansion added over 20+ hours of gameplay on top of what was already there for a single play through. You are talking about a game that can take over 40 hours in a single play through and you’ll never look at the clock. You can start a mission and literally an hour can pass and you won’t notice until you complete the mission and go for a Mountain Dew and look at the clock and go “wow, whoops…” Some of the best value for your dollar I can only wish that they added a “random mission” feature to the game that allowed you to just build a squad (from the ground up, leveling them as you go) and just play random missions. I was amazed at the amount of controls that the game featured. The sheer vastness of this game can be overwhelming at first but as you get into it you appreciate ever little detail and eventually wish that they had time to include even more feature- yeah, this is one of those types of games. I have played this game with a controller and with an M+K and both work great. I have even plugged my XBOX ONE controller into my pc and that also worked great. They put a lot of work into making sure each platform could play this game flawlessly and that deserves some praise. Played this game on consoles and my PC and didn’t have issues with either one. I think I might have frozen once or twice on a console (the 360?) and also had much, much longer loading screens on consoles but other than that this game ran flawless. The loading screens on my pc are literally instantaneous, which makes me sad that they had that much untapped power still left unused- I can only hope and wish that their sequel pushes the envelope. One of the many things in this game that blew me away. Typically in this style of game you will lose graphics in favor of the tactics and the difficulty and the thinking man’s game- not so in XCOM Enemy Within. The hand crafted detail will blow you away. From wildlife, to actual signs and advertisements, to different types of parker/crashed vehicles, the list goes on and they all look amazing. I run this game on the pc with ultra and it does look better than consoles (obviously) but I first played the game on my console and it blew me away. Not to mention the customization of your troops down to their hairstyle and beard, with more options available then in AAA games like Dragon Age Inquisition that THAT is the entire point of the game (Roleplaying), so needless to say they put a ton of effort into this area that typically would be all but ignored in this genre and they did an amazing job. Once again they deserve my applause and gratitude for what they pulled off here. Not a lot of tactical challenging thinking man’s games out there and even less alien based ones. This game is the very definition of hitting a target based audience with no other games to go to to replace it. Once again the very definition of evolving gameplay. You can’t charge into battle or expect the same tactic to work on every single enemy. You need to do different things and try different tactics based on the enemy you are fighting. An ability such as “disable gun” might seem horrible most of the game, but vs a single (and in this case THE most powerful enemy in the game) it is literally a lifesaver. Every single move in this game evolves the gameplay and changes drastically the outcome of each and every battle. Another feature that typically is overlooked in this genre, I was blow away at just how much fine detail was put into the sound department. Creepy sounds, creepy music, X-Files creepy music stuff, not to mention movement, combat, explosions, and a slew of other ambient sounds this game comes with a punch. Every customizable soldiers comes with half a dozen or more different voices to choose from, and I didn’t count but also anywhere from 6-12 different languages built into the game- this means your Mexican soldier actually speaks Spanish, your Russian soldier speaks Russian, etc etc. The time and effort they put into this department of their video game as well deserves praise and awe. Why so harsh on this score when everything else was so top notch? Because the game barely scratched my PC. At most you can have six soldiers in each battle versus sometimes as many as thirty enemies. I want to see the next game get bigger, with three to six man squads and having three squads on the map at a time, being able to have “joint operations” in which you throw your six man squad into a mission and so does two other players and the three of you “joint op” the mission with the three of you coming in from different angles. There was so much untapped potential in the current gens systems not to mention larger rigs that I have to say that they really didn’t push the bound of “next gen” consoles/pc’s. Everything else however was top notch. 1. Graphics and environment: holy crap the graphics in this game are amazing, and I mean amazing for a turn based strategy rpg. The environments are detailed to a point of pain (twigs on the ground, stumps, trash on the streets, etc) which was greatly appreciated. But what fun is a world that is detailed if you can’t interact with it? This game has exploding cars, ladders to climb, walls that will fall apart and crumble, trees that can get blown in half, poison, and fire to name just a few of the many things you can do in the world WHILE fighting and exploring. Top notch! 3. Customization: You can change your squad members name, nickname, armor tint, hair and color, facial hair, and some more that I think I am forgetting. Click here to see a picture of my family members I recreated in the game. This is painfully awesome as well. To watch someone you named, customized and worked so hard on get gunned down- painful! Makes each soldiers life precious! The game only allowed for 6 people max to be brought into a battle- a number that I think should have been at least 10! 6 Just wasn’t enough! 4. Strategy and Engaging Battles: This is what gives the game replay value and/or makes the game fun to play for over 30+ hours! Even on the easiest setting in the game if you just try to run through the game YOU WILL DIE. You have to use strategy and think each and every battle, choosing carefully your plan of attack and movement or you will all die. They did an amazing job in this game with the movement, combat, and flow of the battles- top notch as far as a strategy turn based rpg is concerned! a. RPG Elements: Have a complex leveling up system where you work for hours to try and level squad members up to max. In this game the leveling was somewhat weak, very basic as far as leveling- almost Mass Effect 2 style? If they had tripled the amount of skill trees offered- example would be giving you a “passive skill tree” that allows you to increase you squad members accuracy, hit points, movement, etc. The other things you could add is randomized loot. Does this work? Just ask Diablo and Borderlands! They built games around it! Having the ability to find randomized loot that could be mixed and matched as you upgrade it and build it-example being getting/building armor from pieces that gave you invisible/fly/poison and fire immunity on one suit and having the numbers be randomized (meaning you find a suit that allows for 3 turns flying, 5 times invisible, etc) You could do the same thing for weapons, even adding fire, poison, lightning and such to your guns like Borderlands did and allowing for randomization in that regard. As it stood you only really used three things the whole game- regular gun-laser gun-plasma gun and the same for armor, regular armor- carapace armor- titan armor. b. CO-OP: having co-op like in the Halo series, Army of Two, Gears of War, Diablo, etc, all made the games worth replaying over and over again with friends. Having the ability to “joint opt” with someone would be priceless. Giving you control of 10 soldiers (6 wasn’t really enough at all… Between having 4 different classes to choose from and also multiple S.H.I.V.’s you really were not deciding who to bring as much as “who not to bring” which really was not necessary!) and your friend controls 10 of his own and going against 40 aliens. I wouldn’t even have you start off next to each other necessarily, just on the same map going for a joint goal. As it stands there was 0 COOP in this game. There were countless ways to integrate better RPG elements and CO-OP into the game, they just really didn’t do it! c. Multiplayer: this is the last way games can give you great replay value- (COD anyone?) some good old fashioned PvP brawl fest. This option to be honest would be the hardest to achieve to a great affect, and for some reason it was the only route the programmers decided to go? Odd? 2. Progression: You start off with 4 squad members and a base and end the game with 6 members and… one base… There needed to be more progression in the game! Allow you to build bases all over the planet and slowly take back (or lose) areas of the world like a chess game or like Risk the board game. Allow you to post your soldiers at different basses around the world, as well as air crafts and transportation crafts (as well as different types of planes as there was only two different types of planes you could buy and you really only needed one of each-you could also really survive with only 12-18 soldiers in your barracks with 4 Hover S.H.I.V.’s, meaning you only used around 20 spots of your 99 maximum soldier limit…) Games also need to get better at phasing from the micromanaging stages of the game to macro managing stages. Meaning this; you only fight in battles that involve you (the “commander” as they called you) which would involve most of the “early game”. But as you progress and your strength and squad grows you could send your other soldiers off (the ones not in your “elite squad” of 10 members) off to fight other battles for you. (maco managing) These battles SHOULD be sim’d and could be anything from “take over this outpost” to “defend this outpost” to“defend this cargo as it goes from base to base” to anything you could imagine. You as the commander are just given a report of the mission which would include the success or failure of said mission, casualties, wounded, and promotions (how many each soldier killed) This is done to perfection in Assassins Creed: Brotherhood. This prevents you from being stuck the whole game micromanaging puny lv 1 soldiers and slowly improving them to max for your maximum of 6 squad members. You would be able to still go into opts with your elite squad of 10 members, improving them and getting things done, while strengthening your base. You could easily add a“difficulty of mission” gauge and a “strength of squad” gauge to determine how the sim’d battle will go down (Assassin’s Creed: Brotherhood did something similar) As this game stood, the progression was weak as you started the game fighting with a four man squad taking down small UFO’s and ended the game…doing the same thing? You should have been able to just send 10 recruits in to clean up a splashed small scout UFO by the end of the game and leave the heavy lifting fights to you. 3. Sounds: Simply this game could have really used some ability to play your music while playing it or given you some awesome music that plays when you kill something. 2. Adding REAL stealth into the game. They had two markers for when you moved which basically amounted to “jog/sprint”. They would just have to add one more circle and make it “stealth” so the three circles would be “stealth/jog/sprint” which would allow you to progressively move further but increase the chances of your being “detected” with each level, as well as each level giving you more bonus defense vs reaction shots. With the stealth they would have to add silenced guns and things like “zip lines” that could be used without alerting enemies to your position. Bottom line is that this game was a great game that had a bit more to go before it was perfect. I am highly anticipating the word on the sequel for this game and I hope they take my advice because they could have a flawless game on their hands if they do. If you are a fan of strategy turn based games this game is a MUST BUY, otherwise a great game. The expansion to the original. This game doesn’t change many if any of the things I suggested but adds hours more, and I mean HOURS more of gameplay and adds a fresh breath of life into the game. This game isn’t a typical “expansion” in which you need the original to play it, this comes with a copy of the game and the expansion built into it. Many of my original thoughts still apply with this game (read my other review) but the sheer mass of what they have now included in this game makes this game a MUST BUY and gets my "priceless" approval. If they take this game and take my ideas into consideration when making the next game, they could possibly have a masterpiece in the working, something that will go down for generations as one of my favorite games of all time. This game has a lot of room to grow, and is already impressive; much like Diablo II was! If they build up instead of tearing everything down and building from scratch (like they did with Diablo III) they will have something magical (and I mean that seriously) on their hands. It will either be the best game of the year hands down, or the biggest let down of all time!